You've put so many interesting details in this jacket. It looks like spring to me. Your jacket is going to be absolutely beautiful. I love all the details. The binding and the rivets...just everything. Love it!!! I cn't wait to see the big reveal! 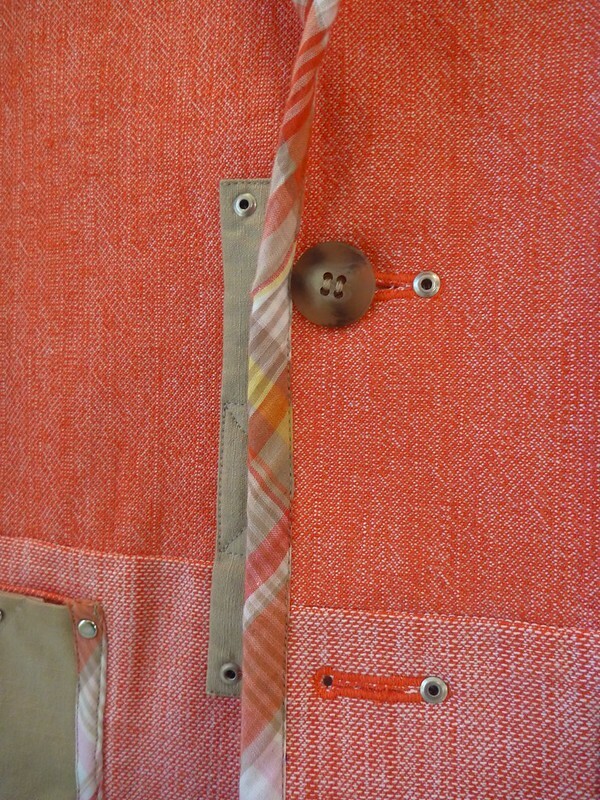 And I adore the rivet on the buttonhole detail. Oh man I can't wait to see it on! So much attention to detail and such a great colour! 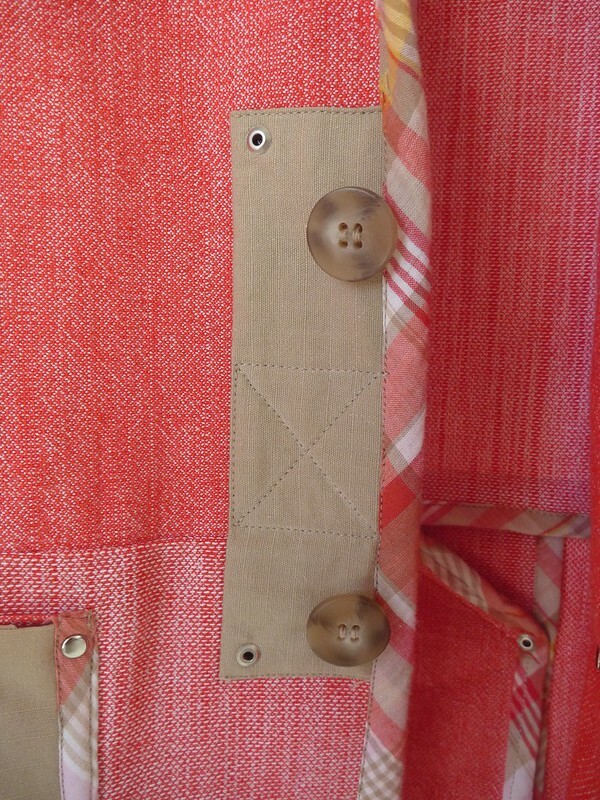 Love that you solved the problem of the too-large buttonhole with a rivet! Rivets: the solution to all of life's problems?? Great job! 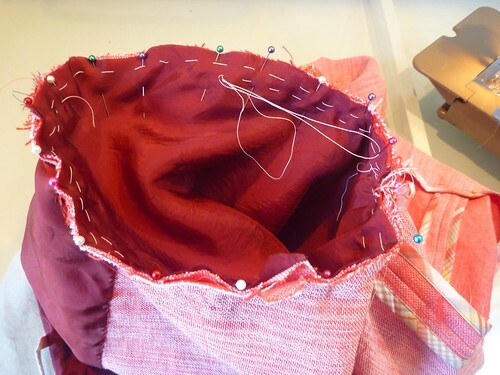 and perfect topstitching. Can I ask what kind of sewing machine you used for the construction? I use a vintage Singer 301. It doesn't do anything fancy, but it can power through just about anything. As always, your work is very inspired. I love all the details you put in. 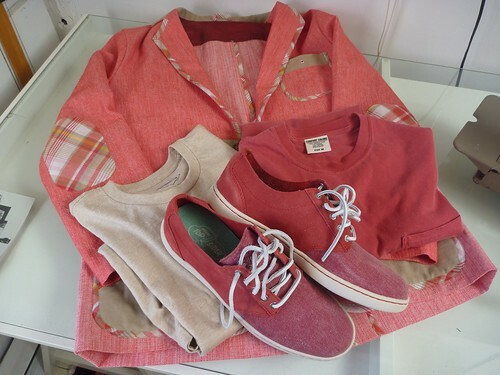 You have already styled it with the shoes. Can't wait to see you on the runway!! Never it looks amazing and look forward to seeing the fashion shoot. This is looking amazing. I can't wait to see it finished! So glad I came across this. 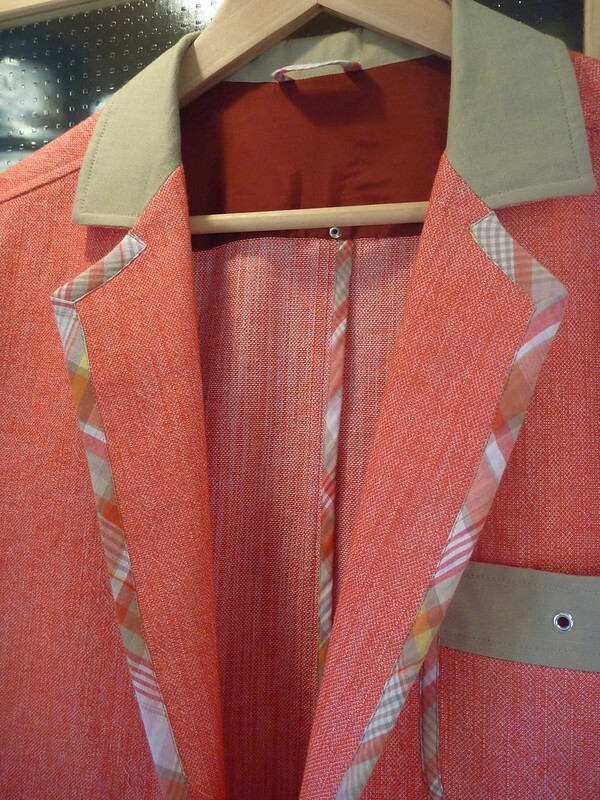 I was looking for inspiration to bind the lapels of a mans jacket. 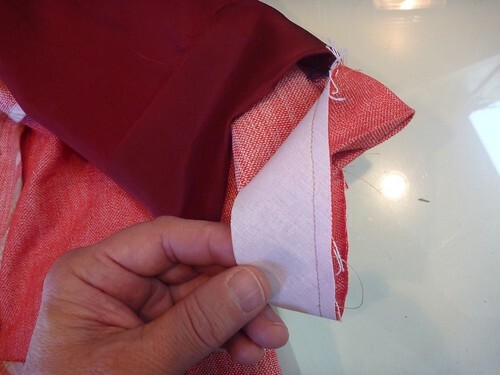 Did you add the binding to properly made up lapels or are the lapel edges raw under the binding? Sorry if that doesn't make sense! I totally get what you mean. 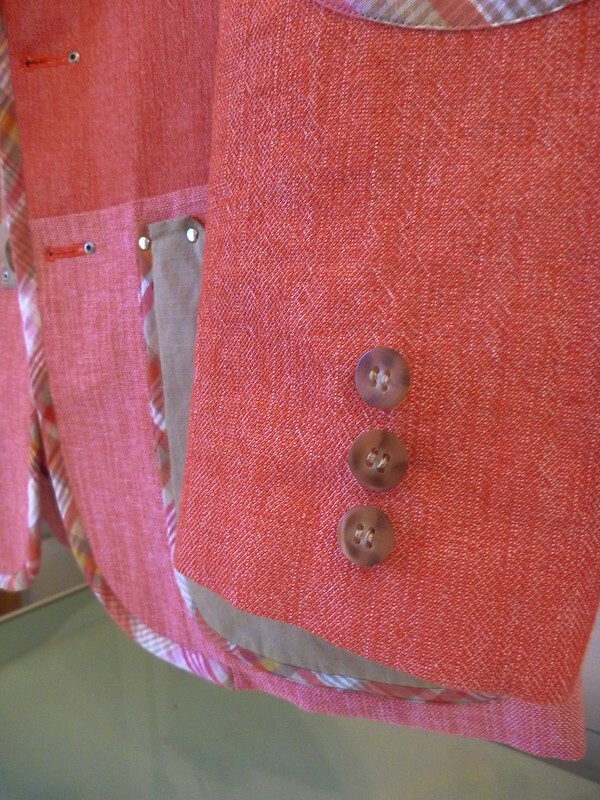 I added the binding after sewing the facings to the jacket fronts, turning and pressing them. It just seemed easier that way. 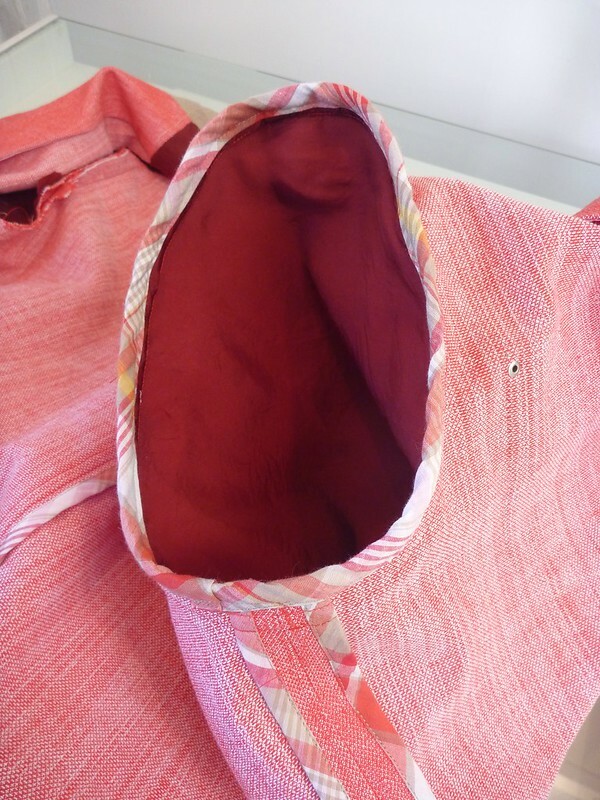 I had to trim as much bulk as possible out of the seams, otherwise it would be way to bulky.